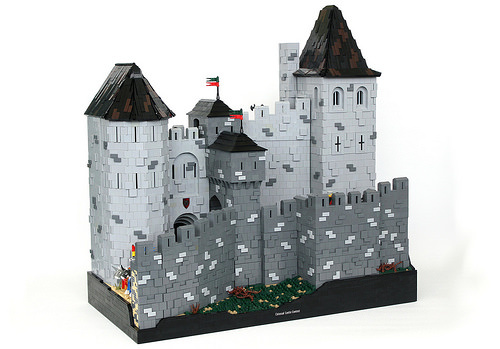 For about the past decade, LEGO castle builders have trended towards what I like to call a ramshackle aesthetic, with precariously towering walls and gravity-defying roofs attached with a song and a prayer. It’s natural that builders would flex their chops in that manner, as that painterly style requires a great deal more skill than the simple, studs-up brick walls of classic castle sets and many early castle builders. However, equally difficult is building more traditional, real-world castles and avoiding the dreaded “grey wall syndrome” of thoroughly boring architecture. Isaac Snyder‘s walls of Carcassonne accomplishes this excellently, featuring a short segment of the French city’s fortifications. The walls and even roofs are no less detailed than any you’d find in the more ramshackle style, yet are thoroughly grounded in authentic style. Perhaps next time Isaac can include a road though, as I’ve been needing a straight wall segment with a road to complete my city for ages! 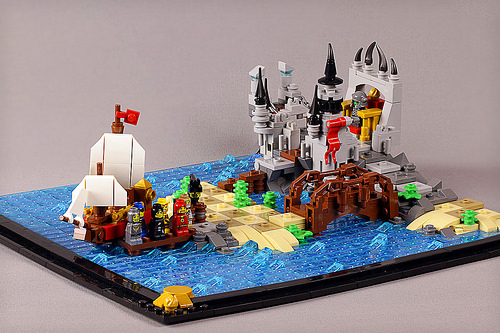 LEGO’s fantasy RPG-lite board game series Heroica may not have seen all much success with adult gamers or builders, but I’d be willing to bet if the boards had looked more like this upgraded version by Kale Frost, there would have been a great deal more interest. With some lovely sculpting, Kale has created an interactive map that retains the checkerboard movement squares for the players, while adding fun micro-builds for the various locations. For details, the scattered trans light blue cheese slopes in the water add a nice bit of motion to the seas, while the robot arms make great bridge railings. Kale notes that he’s planning to expand the game board to make an even bigger playing area, so we can’t wait to see else is in store for these tiny adventurers! 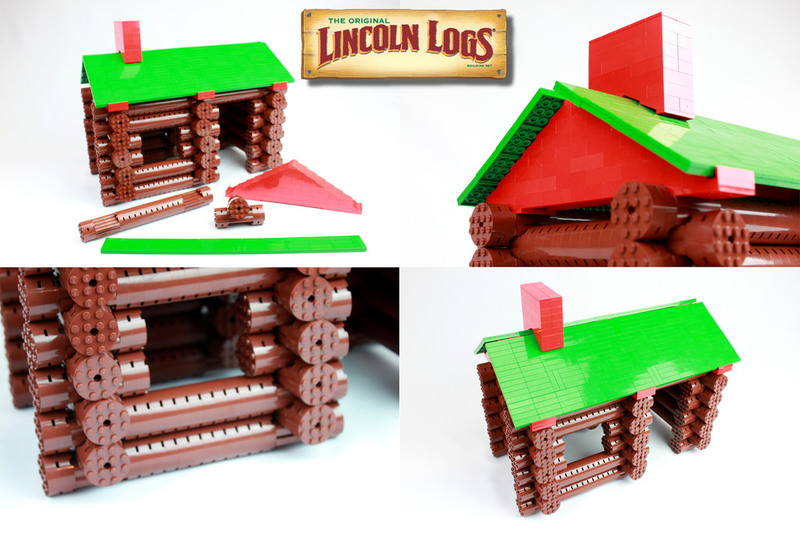 Click for more of your favorite childhood toys!